Ramsey Cabbani is the General Manager of Business Development at LEAP UK and has been helping small law firms choose the right solution for their needs for over 20 years. 1. Death by automated message… Where’s the support? When something does go wrong, you want to know you will be able to speak to someone and get your issue fixed as soon as possible. If there isn’t a sufficient level of support, you’ll end up frustrated, and resentful. Therefore, when deciding what practice management solution to go with a key factor is reviewing the level of support that they offer. Do they offer access to support in convenient ways and at convenient times? Is there a live chat facility that puts you in direct contact with someone? Are there online resources and the ability to log a case? 2. Buried under piles of files and spreadsheets? Do you currently have one software solution for recording your time and another for raising your invoices? Perhaps you are saving your precedents, forms and documents into a folder on the server? Or you’re maintaining a list of clients within an excel spreadsheet whilst writing most of your matter details on the manila folder? Now surely that sounds time consuming and considerably inefficient? 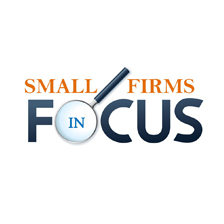 Finding a solution that provides all of the features you need to run a small law firm can seem difficult, but it is not impossible! 3. Smoke and mirrors software: Where there’s smoke… Be wary: sometimes a solution that ‘does it all’ is not always the most efficient nor cost effective option for your firm. You need to consider: does it work with your document production or email management applications? And does it integrate with your accounting software? Some solutions will develop features within their own software if they are unable to integrate with other systems. Be cautious of these; they often add additional layers of complexity and costs. 4. Wasting away while wasting time! How much time do you, or your secretary, waste by typing out the same document over and over again? Or, desperately trying to figure out what ‘macros’ are and how they even work! From typewriters to smartphones, word processing has come a long way over the last 20 years. Automating document production may seem like just another step in the evolution, but for small law firms, it is a highly anticipated step. An integrated practice management software is an essential tool for small law firms as it cuts down time spent on administrative work, allowing you to spend more time on billable work and making you more money. 5. Sinking in the costly quicksand of software updates? Do they release regular updates? Will they cost? Do they happen automatically? The best-run companies are constantly working to develop and improve; this more so in software than any other industry. The frequency at which your practice management software releases new features and enhancements is a reflection to their dedication in providing you, not only with the best possible experience but, with leading edge technology. Plus, the cost at which they offer these releases tend to express their commitment to you as a customer. 6. Eulogy reads: “Chained to the desk.” With the uptake of smartphones, tablets and notebook computers there is an overwhelming demand for mobility in the workplace taking place, within all industries. Clunky remote connections or terminal server logins are no longer not up to scratch. You now need a solution that enables your staff to work from home, the train, or even from the other side of the world without experiencing any lags or delays. Step forward – cloud technology! To ensure you remain ahead of your competitors, and find and retain the best possible staff, you need to offer a practice management solution that enables your staff to work from anywhere at any time. What will the solution save you in the long run? Do you need to maintain servers? Do the user workstations need to be high performing? Is the monthly cost all inclusive? Often the features within a solution can help your firm get more done with the same amount of staff, or include the ability to expand your matter expertise. It is important to envision the future of your firm and ensure you choose the right foundation to build upon. LEAP is a single, elegant solution providing everything you need to run a small law firm. See what LEAP can do for you. Would you consider your existing software more of a hindrance than an asset?